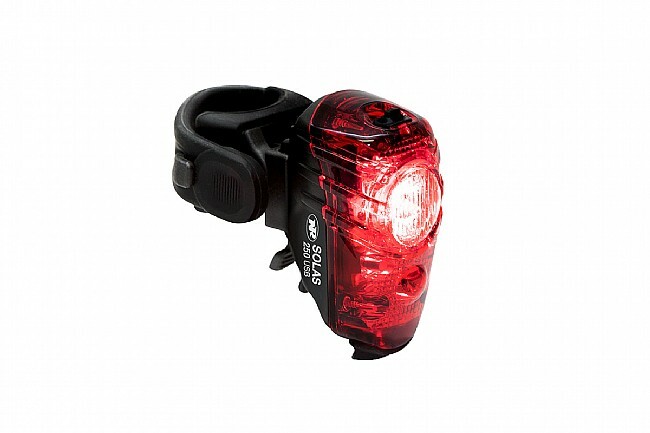 The NiteRider Solas 250 Rear Light provides 250 lumens of safety-enhancing light. With 4 light modes broken up into 2 flash and 2 steady, the Solas 250 is even bright enough to be seen during the daytime with NiteRider's Daylight Visible Flash. The USB rechargeable battery provides up to 40 hours of use and charges quickly and easily. The NiteRider Solas 250 is backed by NiteRider's lifetime warranty, covering defects in material and workmanship, mechanical components, and LEDs. 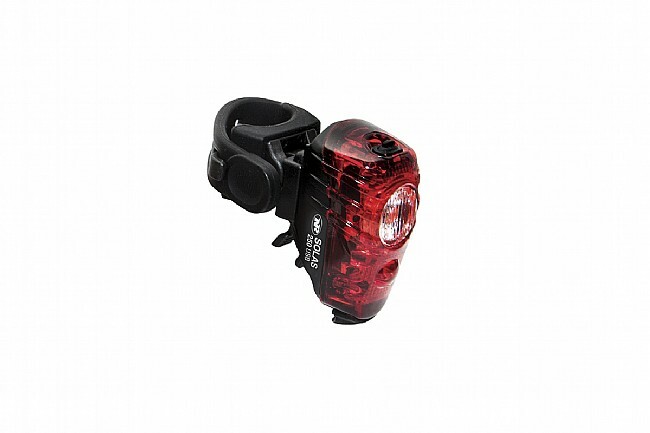 Includes the Solas 250 LED tail light, seat post mount, and USB charging cable. 250 lumen super bright tail light. 4 light modes, including a Daylight Visible Flash. FL1 Standard IP64 is dust and water-resistant. Group Ride Mode allows you to be seen without distracting fellow cyclists. Easy on and off seat post strap mount with quick release tab. Brighter and more visible, especially during the day, than any tail light I've seen or used. If you want to be seen, this is the light. Love the light, when it works! Have owned two and love the various modes for battery life, etc. BUT had to replace both bc they simply stopped working. One day, great. Turn it off, next day it won't charge. Done. If it worked continually I would give it 5 stars. Love this light. Easy to use and very bright. Good visibility for both night and day riding. This is hands down my favorite rear light. It's as bright as the sun, and it holds up to water, dirt, and grime. Needed a light that would be seen during daytime rides and this light checked all the boxes with modes that work great for that need and of course in darkness. USB rechargeability was another requirement and this light provides easy access and long battery life after recharging. Great light all around. I ride among a lot of trucks and need to be seen. I have been using the Solas 150 rear light, but wantedneeded something brighter for safety. The Solas 250 is BRIGHT. in a side by side comparison with the Solas 150, It can be seen from various angles, so I'm feeling the trucks are seeingnoticing me.